A biological farming system that uses “natural” pesticides and fertilizers over chemical ones. Traditionally, most farmers prefer biological farming systems first, conventional farming second, and organic farming last. Research has revealed that farms are less concerned about profitability and would rather focus on the health concerns of farming. Of course, profitability was second and sustainability and environmental concern ranked third. While the opinion of the farmers ranks sustainability low on their personal agenda, studies such as this illustrate that sustainability is possible without environmental degradation. Farmers prefer the healthier form of biological farming to the chemically destructive methods of conventional farming. Therefore, studies illustrate that the American farmer is ready and willing to work within the goals of sustainability with out environmental degradation. Study after study has concluded that implementing sustainability measures into farming methods lends to profit, but at what cost to the environment? Environmental degradation is of the highest concern in an era of modernity that is just beginning to reap the effects of the industrial age, the age of profitability. Industrial society marks a time in history that transitions humanity from being at the mercy of the environmental risks such as disease, flood, famine, and the like, to risks that are deliberately undertaken by individuals or the society with the goal of man’s mastery over nature through technology. Western society is in a transition period and we are heading towards a second stage of modernity rather than into post-modernity. The first stage involves a complete focus of society on achieving wealth. The current, or second stage of modernity is involved with "risk society" — and focus on reducing risk or harm. With the advent of societies dependence on technology and industrial dependence on the sustainability of the environment, today’s risk society is concerned with reducing the degradation done by the first stage. Technology’s role in sustainability and the avoidance of environmental degradation can be illustrated aptly with methods of corn production. In the past, traditional methods of corn production lead to a decline in soil organic matter, which is a form of environmental degradation. However, methods of conservation tillage techniques and higher corn yields have slowed degradation greatly. Both the higher amount of corn planted and the tillage technique yield greater levels of organic material in the soil. Ethanol made from corn, or "soy-diesel" made from soybeans, as on-farm fuels. Refuse from corn production is used for fuel for grain drying and on-farm heating. Using high-nitrogen-fixing crops such as alfalfa in the crop rotation. The current goal of biotechnology in producing corn from legume species by nitrogen fixing. 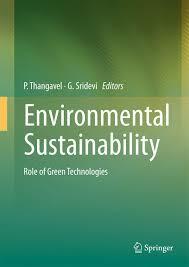 Technology affords a large amount of environmental sustainability. In essence, this shift represents a re-distribution of "desirable items in scarcity" to a distribution of risks which are undesirably abundant. This new modernity involves replacing traditional values of progress and accumulation with a new ethic emphasizing risk avoidance, transfer denial, and reinterpretation. An example of reinterpretation is the transition from traditional farming systems to biologically sound farming methods that reduce the number of traditional chemicals and waste in an antiquated system. Not looking towards development of sustainability in crops is denial of the problem altogether. As such, the logic of agriculture production and distribution is becoming increasingly connected to the logic of the "social production of risk." In this period of acute uncertainty and risk, a reflexive social system (a self-monitoring one) ensures that individuals exposed to particular environmental risks will no longer passively live with them. This model of environmental sustainability places the majority of the duty of providing for the future on each individual farmer and his or her choice for a farming system. What has pushed risk into the forefront of concern is the period in which wealth and risk overlap in a dangerous state of unawareness. Again, using he example of corn production, erosion is of a particular concern in the springtime when the crop is low to the ground. Methods of tillage must be carefully undertaken to insure that erosion does not become a larger concern on a continual basis. If proper time is not taken, if the risk of wind or water erosion is not viewed as serious degradation, environmental waste factors come to play. High levels of nutrients are loss to erosion. Near-by lakes and streams can become polluted through the transfer of nitrogen into the water and various other chemicals used in corn production. According to the EPA, sustainability can be achieved without environmental degradation, as proved by the study of farming systems across the nation and particularly the one discussed previously in Missouri. Farmers, when given the opportunity to chose methods of sustainability, are more than willing to choose methods that are beneficial to the environment while enhancing the health and economic welfare of their community. Sustainability and Culture Research Papers on how many of today's manufacturing and consumer practices contribute to environmental destruction. Ecological Model Research Papers - Such challenges to sustainability in agriculture and land use may seem daunting. Water Pollution Research Papers look at the environmental factors that influence this pollution. Overfishing of the Resource Research Papers - Your sustainability plan should present what, when, and how something is to be sustained and maintained now and into the indefinite future. Oil Pollution in Our Oceans Research Papers examine how oil pollution is caused, and the negative consequences that occur. Order a research paper on oil pollution from Paper Masters. Ecology and Environment Research Papers - forms of life, including plants, animals, and even microbes. Further, human beings also affect the abiotic factors, including resource depletion and pollution. Environmental Politics Research Papers explore the relationship between practical politics and environmental issues in areas such as ethics. Paper Masters writes custom research papers on Environmental Sustainability and discuss sustainability in the farming paradigm and examine the three main farming systems that environmental sustainability has to be considered in.